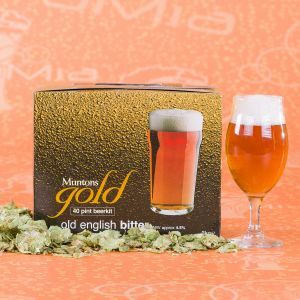 Bitter malt extract for beer, Muntons Gold 3 kg, for a full-bodied beer. The hopped malts of this series do not require the addition of sugar or other fermentable during the wort preparation. They can be used with the starter kit.